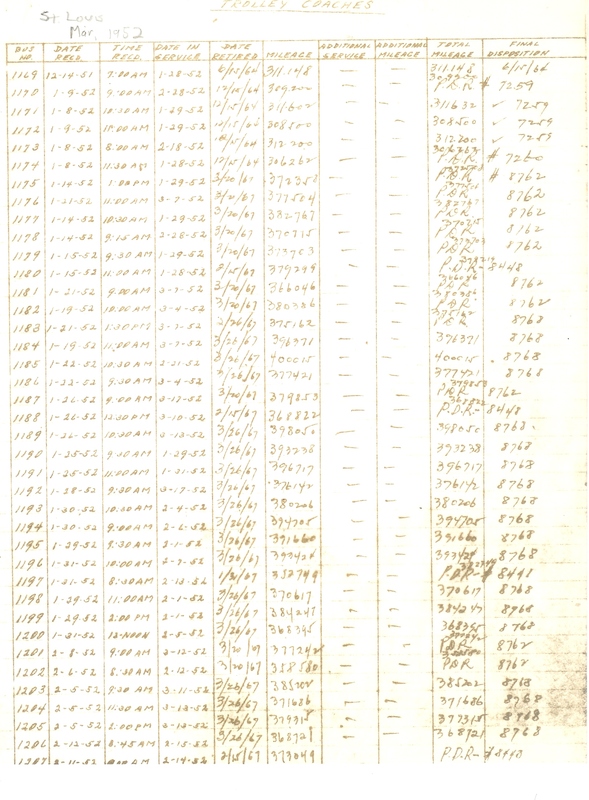 This and the following pages are a transcription of NOPSI trolley coach records, bus by bus. They have been transcribed from copies of the actual NOPSI record sheets, made by an older wet-chemical copying process. The copies are somewhat faded, and in some places hard to read. Therefore, scans of these copies are provided by the link at the bottom of each page of this roster. If in doubt about any detail, please consult these scans. Thanks to Stephen Scalzo, who acquired these copies from NOPSI, and has generously shared them for this project. *Reason for the discrepancy between Mileage and Total Mileage columns is unknown, but the numbers have been transcribed correctly from the original. 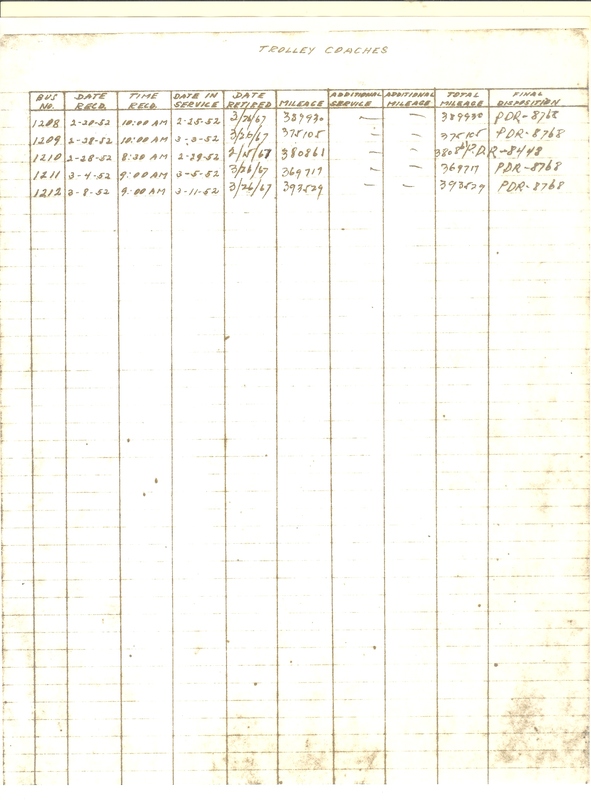 Link to scan of the actual roster, sheet 1. Link to scan of the actual roster, sheet 2. Copyright © 2010 Louis C. Hennick and H. George Friedman, Jr. All rights reserved.